There’s a never-ending flow of new content that you’re made aware of everyday — be it a new album from your favorite artist, a movie that your friends have been talking about, or even an app that we’ve recommended here on Beautiful Pixels. 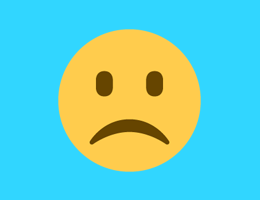 We’ve previously recommended apps like Recall that let you be up to speed with recommendations. 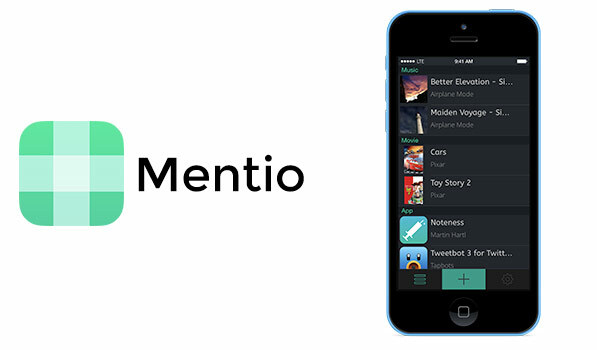 Mentio is yet another interesting-looking app that’s built using the iOS 7 design language. The interface is dead simple — a big plus button at the bottom of the app lets you add music, apps or movies. Choose either category and you’re presented with a search box. Mentio uses the iTunes Store to find its results; I mostly found what I was looking for. One trouble though, is that you can only search for content available in the country you’ve selected in the Settings. For instance, after choosing ‘India’, I could only get results for local movies. Even searching for something as ubiquitous as ‘Transformers’ or ‘Terminator’ showed no results till I changed the country to the US. But I guess this could be an iTunes limitation because the same happens with Recall as well. Talking about the app’s design, you can choose between a light or dark theme as per your taste. The use of the green colour blends well on either colour schemes. After adding an item, it is grouped along with others in that category. Tapping on an item shows the description, price and thumbnail. You also have one-touch access to the iTunes Store if you want to get it. There’s also a third-party share sheet that let’s you share it to apps like Chrome, 1Password Browser and Instapaper. There’s a kink with with the app right now — when reading the description, the menu button on the bottom-left that’s supposed to take you to the main screen, doesn’t do anything. Sure you can click the ‘Back’ button in the top left corner that’ll do the job; but a dead button is never good UI. I’m sure the developers will fix that soon. Mentio is fairly basic in its functionality. Apps like Recall do a lot more — like you can add TV shows and Books too along with Apps, Music, Movies. Recall also lets you set reminders and even embeds the Rotten Tomatoes score. But if you’re peculiarly drawn towards the look and feel of Mentio; it’s a decent option available on the App Store for just a dollar. Rohan Naravane has been working for technology and media companies for over a decade. He's written about consumer tech for a majority of his career, and currently is based out of Toronto, Canada. You'll find him on Twitter mostly rambling about tech, movies and TV shows. Come say hi @r0han.